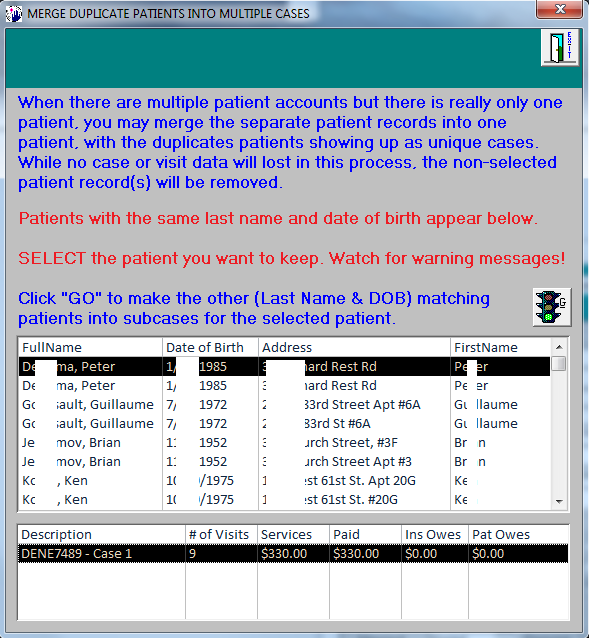 Over the years, we have seen how offices have created multiple patient accounts when in actuality, the offices should have created multiple cases (for that one patient) since it was the same person each time. We have created a new module that solves this problem. 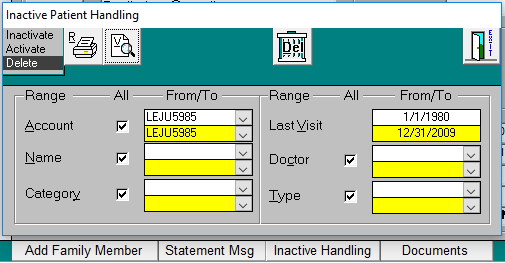 It is accessed from the patient data screen by clicking on the tool icon on the top left. Just follow the instructions on the screen. We fixed the graphing issue in the new statistics module so it presents a better bell curve. We added some code to electronic billing that allows the ansi ebill creation to follow the HCFA preferences rule for filling box 32A. There is only one user with this situation, and only for Medicare claims, but it makes sense to make the rules you choose to apply in more places.